WordPress eCommerce got famous after the launch of WooCommerce, which allowed merchants to set up a store on a WordPress site with a simple plugin installation. The startups and small-medium businesses are more inclined to turn their existing websites into web shops. You can also get help from the vast collection of WooCommerce plugins and add the basic to advance options to have a fully functional online store. Just like any other software and program, WordPress Ecommerce also has some limitations. But, there is always a solution to a problem. If you are comfortable with using WordPress, here are some of the practical solutions to the limitations. Being known as the king of content management system, WordPress has ignored the need to make the platform secure for businesses and professionals. 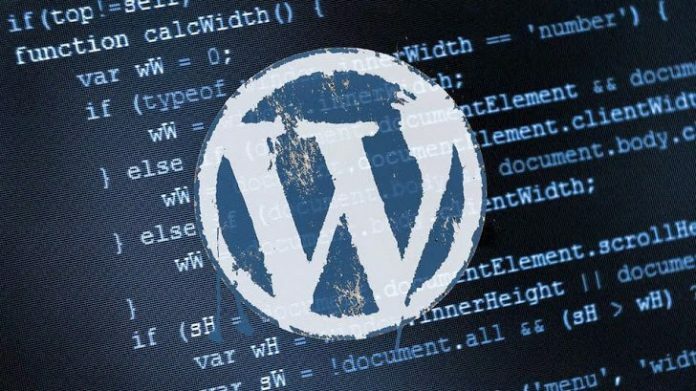 The hackers are continuously attacking the WordPress sites with malicious worms, malware, and viruses that disturb the rhythm of an active and successful business. The entrepreneurs and business enthusiasts switch to WordPress eCommerce in pursuit of a vast collection of themes and plugins. And, there they get the solution. One of the most promising solutions is to install a plugin for enhancing the security and restricting the intruders from getting unauthorized access. You can search for security plugins, select a reliable vendor and get it installed. Additionally, you need to change the passwords frequently and keep the credentials secret. After the vulnerable security issue, the frequent updates are among the major culprits that may cost thousands in customizations. The problem is that whenever a site owner updates the WordPress version in pursuit of better performance, all the customizations are nullified. It retrieves the default settings and you are left with no option to start from the scratch. If you have ever installed WordPress, you must relate to a number of notifications about the updates. Most of them are for enhancing the speed of your website, but you do not bother to get the software updated with the fear of disturbance. To be on the safe side, merchants are often advised to get installed the latest version along with the valuable tools. Once you are done with the customization settings, do not opt to update the platform, and everything will be perfectly fine. 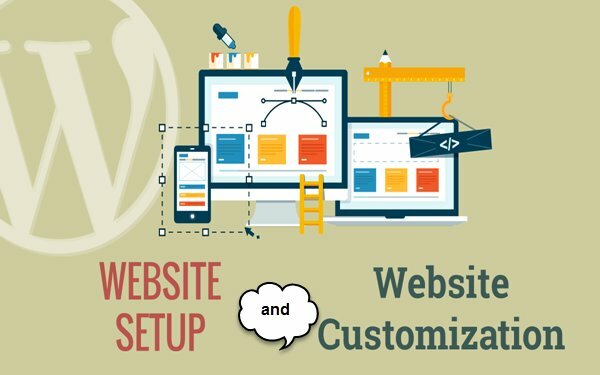 Over a period of one or two years, you can plan to have a customize web structure that no longer relies on theme or plugin updates. You can have a dedicated developer to solve any issue you face, just like the way medium to large size enterprises do. The installation of plugins and the crowded databases are among the main reasons of a slow speed. You must need to install plugins to turn a WordPress site into an online store, so there is no way to ignore such applications. Either good or bad, only a plugin can get you an eCommerce website with WordPress. In addition to this, there could be other reasons as well that are slowing down your store. It could be shared or unreliable hosting service, the user of bulky images, multiple modifications to product pages and posts, inappropriate themes, or poor design optimization of the home and other web pages. Being a merchant, you can achieve fastest page load speed by optimizing various factors. The first thing you need to do is migrating to the most reliable hosting service. Evaluate different server speed and get a recommendation from industry experts. And, after then optimize the images, WordPress database, and home page to load faster. If it still does not work; install a web page speed booster plugin. WordPress was not built for the technical experts, developers or experienced people. It aimed to make blogging and website making easier for the common men. Even a teenager can install the WordPress, add WooCommerce or any other plugin, and set up a store. It is true that the majority of the community members are common people. They have learned a lot by themselves. WordPress is simple to understand. It is among its benefits, whereas the merchants find it hard when they fail to find a solution to their problems instantly. If you are facing the problem of interacting with an expert or want an issue to be resolved perfectly well, you can refer to the documentation. The guides and tutorials can get you how to install WordPress for the first time, and how to configure different tools to set up an entire eCommerce website. Additionally, you can ask anything relevant to the WordPress or its eCommerce solution on the official forum, and get reliable solutions. They may not possess the technical expertise, but their enthusiasm to serve you with the right answer will help you solve a problem. An eCommerce website means a well-structured place to sell your products. It may need enhancing the structure, improving the design, and make shopping a brilliant experience. But, all these functionalities are not available in the WordPress eCommerce. You will be advised to have a fresh plugin for it. Most of the marketers take it as a limitation, just because WordPress is not meant for eCommerce. But, if you try to compare other eCommerce solutions, they do have a variety of extensions and modules for functionality enhancement. In eCommerce Marketplace, Magento and PrestaShop also have hundreds of tools that need to be installed for simplifying the user experience, offering flash sales, or doing anything uncommon. It is a misconception that the plug-ins slows down the speed and affects the performance of a website. In fact, it is an added feature of WooCommerce. And, that you can find hundreds of free and premium plugins to extend the functionality of your store. To simplify the checkout procedure, you can take benefit from one-step checkout tool. In the same way, you can find useful plugins like WooCommerce Brands that enhance the user experience of your store by allowing customers to shop by their favorite manufacturers. Why merchants are still going for WordPress eCommerce? WordPress eCommerce is attracting the masses in setting up their stores for being a simple and familiar platform. The WooCommerce, being a prominent eCommerce plugin, is empowering more websites day by day. Because it is free and people are quite comfortable with using the WordPress. Every small or medium size enterprise is highly conscious about spending money on an online store. For them, it is much expensive to have a customized or dedicated eCommerce solution. It makes them think about the least expensive solution, where they often ignore different aspects. Being a free platform, it meets all the basic requirements of a startup. If you are thinking to start with the WooCommerce, you can start with as low as you can afford. It is not about paying a handsome amount of money to developers or sharing revenue with the product listing provider. WooCommerce quickly got popularity for offering the dedicated-like platform at much cheaper prices and management skills. The blogging can also be a major inclination factor towards WordPress. Sellers, who successfully engage their customers through valuable content, are more likely to select WordPress for selling different physical or digital products. They get a quick exposure to the internet without spending a penny extra. The debate to have a perfectly suitable eCommerce platform for your business is a never ending experience. If you talk about features and limitations, you can find it in every eCommerce solution. We have tried to help you with valuable solutions to all the commonly known limitations of WordPress Ecommerce. WordPress E-commerce is a brilliant solution for small and medium size businesses. For example, a real estate consultant is quite satisfied with a simple website to list some homes for sale. And, a car showroom will also be less worried about security issues for an eCommerce website that only displays a set of cars that are sold in a week and replaced with new listings. The selection of an e-commerce platform depends on the nature, scope and future plans of your business. WooCommerce is leading the market with 17,890,794 downloads that empowers around 39% of the online stores across the globe. If you are planning for an online venture, do not worry about the limitations. Find the good things in WordPress and evaluate how it meets your basic needs. And how it will cater to your expansion plans with the advanced features. And, you will never regret your decision.